Currently browsing articles with a topic of "bkd". 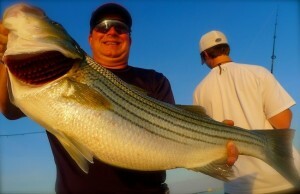 This local Chesapeake Bay Lure is a favorite of the local Anglers. Used with any jig head, it is a highly effective lure for multiple species. 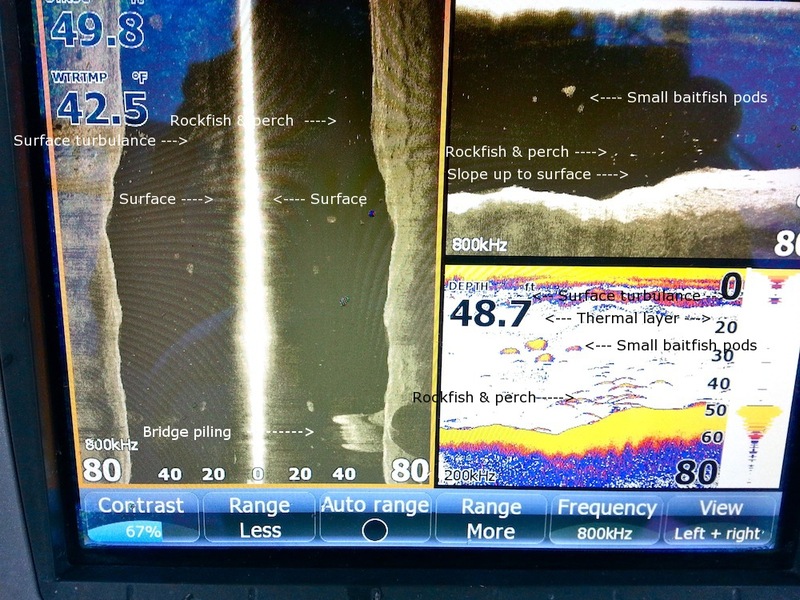 We interrupt this conservation blog with a fishing report. Nah, it’s the other way around. 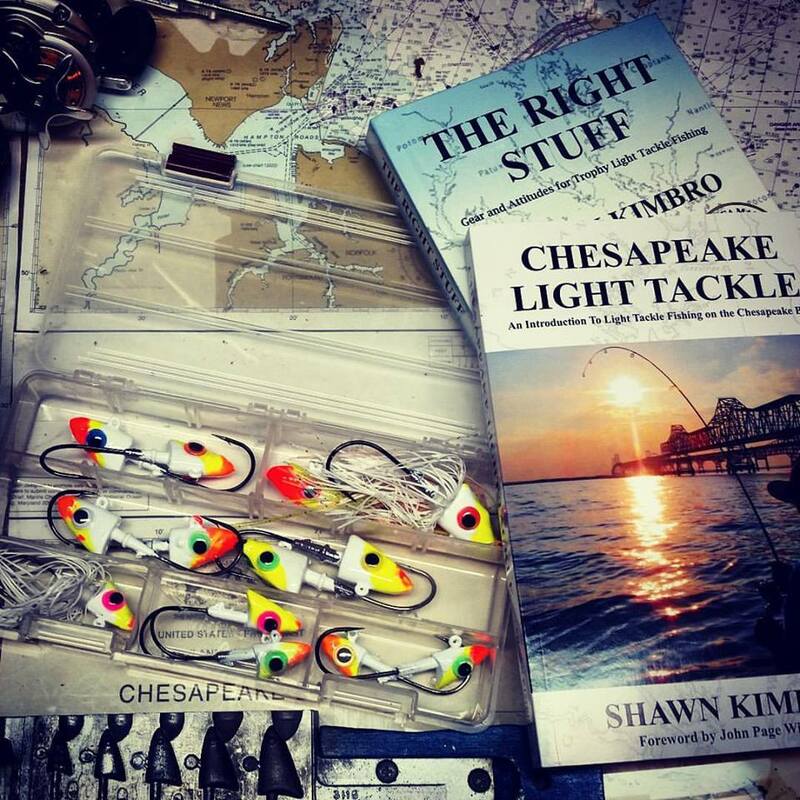 Chesapeake Light Tackle will always be first and foremost a fishing-report website. 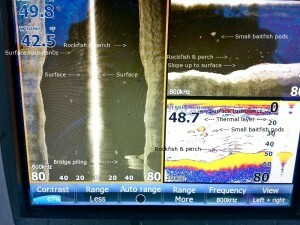 Well, fishing reports along with some occasional good advice about gear and techniques. Don’t worry – I won’t be lightening up on Maryland DNR’s bad decision to increase rockfish harvest by 14 percent in the face of impending cuts, but I wanted to let you know that I have been lighting up some local fishing spots lately. It’s the holidays, and the weather hasn’t been great, but there are still some fish to be caught for those who are willing to brave the elements and cast for them. The warm water discharges have been hit-and-miss lately. Most of the anglers who have visited them have been disappointed, but once in a while, I hear of a good fish or two being caught. The same goes for the deep holes at the mouths of the rivers and also for my go-to-winter honey hole: Light Tackle University (“LTU”). Read More! One of the more frequently asked questions I get whether by email or in person is, “How can I consistently catch bigger fish?” I’ve written about moving your game up to the next level before, but since we now have some migratory stripers in the Maryland part of the Chesapeake Bay, it’s worthwhile to address it again. The learning curve gets a little shorter in the fall and it’s a great chance to sharpen your skills. 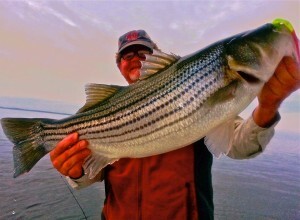 I’ll start by saying there are no hard and fast rules for catching stripers. Over my years of casting for them I feel like I’ve honed my techniques so that, on any given day, I have an edge for catching a trophy. That said, I’m still frequently surprised when a huge striper is caught by some completely different method than I’ve seen before. One thing is for sure, things change. There’s no substitute for experience but anglers who aren’t willing to stay on top of the latest innovations and newest techniques are certain to be left behind. Read More! That’s a phrase I’ve heard more than once from Chesapeake Bay fishermen this year. I’ve been catching a few smallish reds around the Kent Island shoreline since May, but things have really opened up in the last week or so. Where are they and why are they here? I’ll tell you where later, but first let’s talk about why. 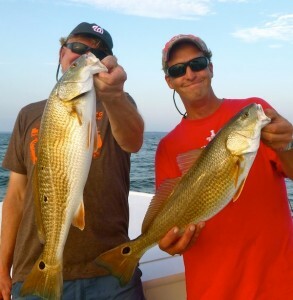 Simply put, conservation measures are allowing red drum to expand their range. 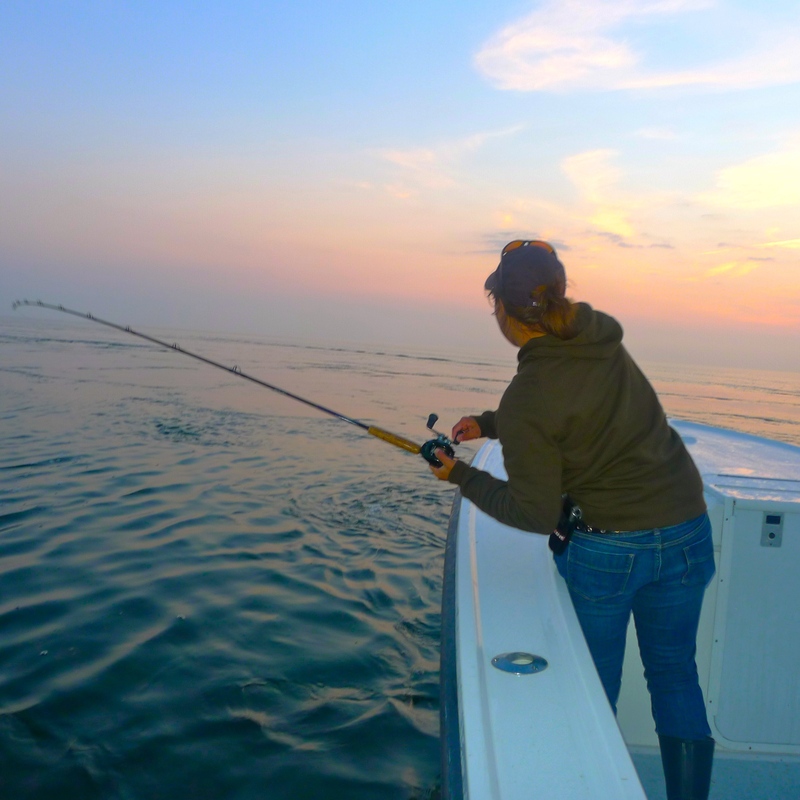 Successful fishing for slot-size red drum (fish between 18- and 27-inches long) is completely dependent on the success of spawning over the past three years. There is quite a bit of variation in a redfish’s rate of growth. At one year old, redfish will range from 10- to 17-inches long, averaging 14 inches. At two years old, they will range from 18- to 24-inches long. At three years old, they will range from 20- to 28-inches long, weighing four to nine pounds. If the reds you’re catching are in the slot, chances are they’re from the 2010 or 2011 spawning class. By all accounts, those were good years. Here’s the rest of the story: Read More! In the fifty years or so I’ve had to observe the behavior of fishermen, I’ve noticed a few trends. While collecting thoughts for my next book, I’m forming a list of traits that I think good fishermen have in common. In the book, I’ll concentrate primarily on gear and tackle but I also want to spend some time examining habits and attitudes that successful anglers share. You know, the right stuff. One penchant stands out above all the rest – good fishermen like to release fish. Not only do they like to let them go, but they look for ways to insure they survive once they swim away. Accomplished anglers find satisfaction in returning a fish to the water and they enjoy the thought that other fishermen will also have the opportunity to experience the thrill of a trophy catch. I love to eat fish. I just returned from a week-long fishing trip to the Abacos Islands where my sons and I ate the fish we caught every day. I don’t begrudge anyone the opportunity to eat their catch, but every angler has to release fish from time to time. Better anglers can’t possibly eat all the fish they catch, nor do they want to. I’ve written about this in the past, so instead of going into a step-by-step breakdown of best-practices, I thought I’d try to make it a little more fun by turning it into a quiz. Think you have a good handle on how to take care of the fish you plan to release? Check it out: Read More! 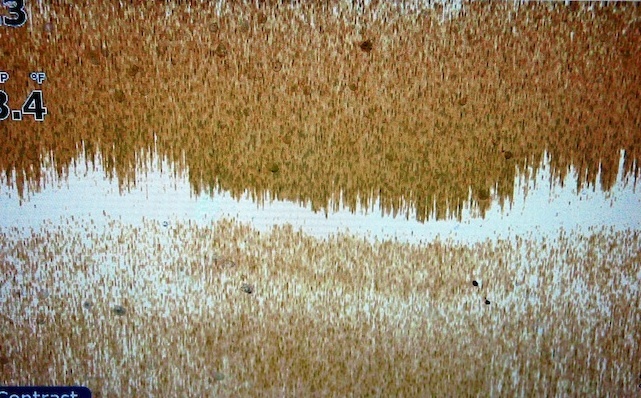 Eelgrass – it’s not something we’re used to seeing much in the Maryland portion of the Chesapeake Bay. According to the Maryland DNR website, it’s most likely found in high salinity areas of the Chesapeake Bay, approximately from the Choptank River south to the Atlantic Ocean at Cape Charles and in the smaller coastal bays. Because of poor water quality, bay grasses are at historically low levels, so it’s a little odd that we’re seeing eelgrass farther north than usual this summer. It’s probably a result of high salinity coupled with sustained warmer temperatures – we’ve just come through the warmest twelve consecutive months ever recorded in the United States. 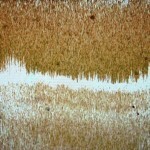 On my StructureScan sonar, eelgrass and its cousin wild celery grass, looks like underwater fields of waving amber grain. Baitfish hide in it, and rockfish love it. 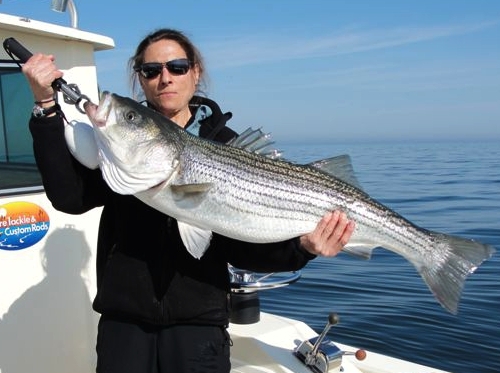 In the last CLT entry, I wrote about the five reasons why Chesapeake Bay stripers attack a lure: hunger, reaction, competition, territory protection, and curiosity. When fish are hungry, they’re easy to catch. Almost any lure or technique will work on hunger-feeding fish. Unfortunately, most of us don’t have the time or resources to constantly run around looking for schools of voracious fish. If you’re like me, you have to fish in the limited time you have available, and you probably stay close to home. While we may occasionally happen upon groups of ravenous fish, most of the stripers we encounter are hard to catch. In order to be consistently successful, we have to provoke strikes from fish that may not be particularly inclined to bite. Strike producing lures are especially important right now since we have trophy rockfish migrating in and out of the Bay. Our chances for catching-and-releasing a 50-pounder on light tackle are better than at any other time of year, but migrating fish have other things on their minds besides eating. Big fish get bigger by being smart and getting smarter. To catch them, we need to cast lures that will provoke strikes by appealing to their five senses; sight, sound, smell, feel and taste. I call the formula 5 by 5. By that, I mean we can consider the five reasons why fish strike, then use lures designed to appeal to each of their five senses in order to come up with the best of all possible strike triggers. In this installment we’ll look at striped bass eyesight. Read More!